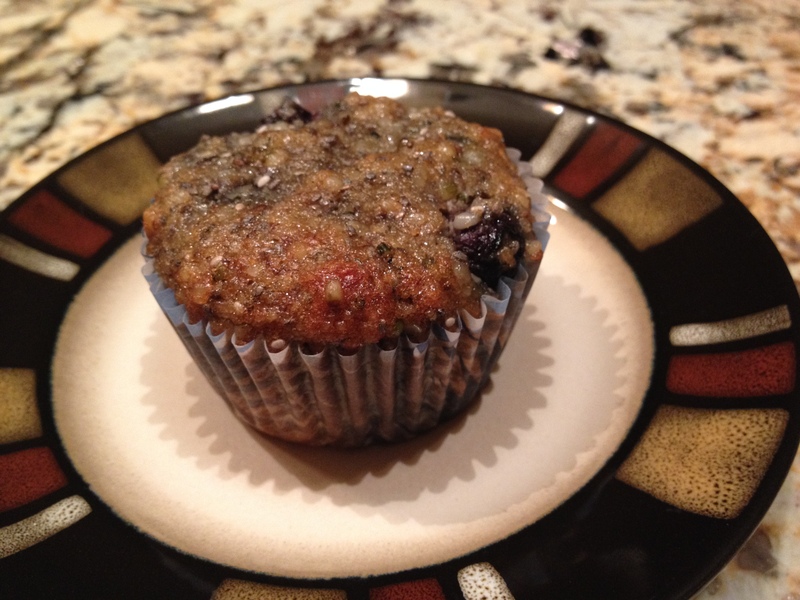 A great muffin recipe with extra protein from the hemp hearts, chia seeds and almond flour. They are also high in omega 3 and omega 6 fatty acids from the chia seeds and hemp hearts. Enjoy with your favorite hot beverage. In medium bowl, mix together flour, hemp hearts, chia seeds, baking soda, salt, and cinnamon. In large bowl, mash banana. Add honey, vanilla, and eggs. Mix well. Fold blueberries into wet ingredients. Pour into prepared muffin tins. Bake at 325 degrees F for 18 to 20 minutes.